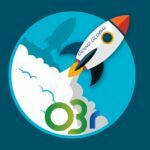 OBr.global is focused on the international business acceleration of startups already in operation, beginning to gain market traction (MV3P), scaleups already tractioning in the domestic market and seeking international markets, and mid-sized companies consolidated in the domestic market that seek commercial expansion and greater competitiveness. Since 1997 it has provided strategic guidance to mid-size companies seeking international markets, and since 2008 has helped startups and scaleups develop cross-border businesses. In addition to being certified by some most important international institutions in acceleration, incubation and mentoring, it has a vast network of relationships, both in Brazil and in other markets, especially the North America, where it has its US headquarters in California and outpost in Texas. OBr.global is part of some important local groups considered a benchmark in Silicon Valley, such as Sand Hill Angels and TiE Angels, and VelocityTx in San Antonio, Texas. Startups and scaleups participate in the selection process to compete for a place in the international acceleration program, Velocity Brasil. The program is developed over 6 months, 3 months in Brazil, doing the preparation and 3 months in the USA, establishing a client base to help consolidate an international position.